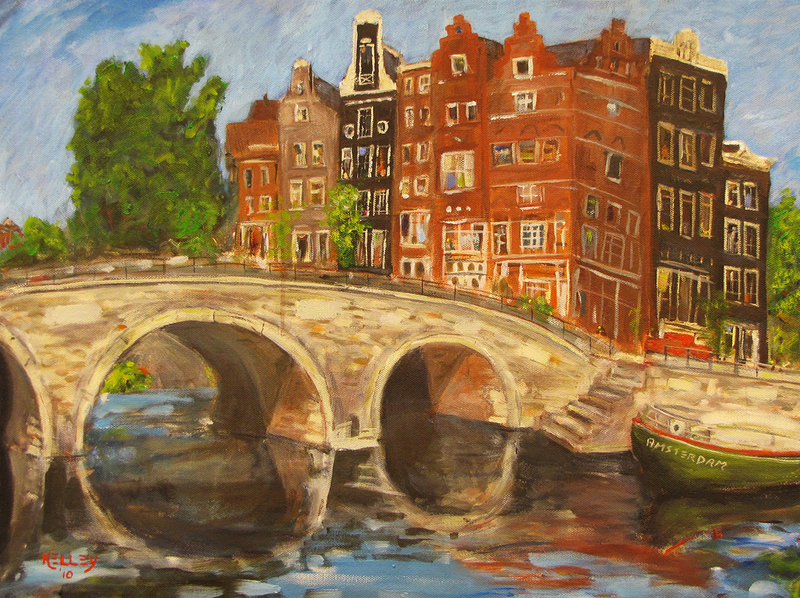 The Amsterdam canals were first dug in 1615 and took more than 40 years to finish. They are world famous and simply exquisite. This is a famous corner at where the Keizersgracht (Emperor’s Canal) intersects with the Leidsegracht. Just recently I took a canal ride in Amsterdam and passed right by this impressive intersection.